The headquarters hotel for the ASMBS will be the Hilton San Diego Bayfront Hotel. 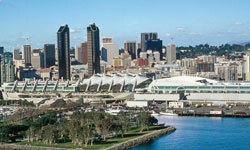 Within walking distance of the San Diego Convention Center, the Hilton is the prime location for all ASMBS activities. Make sure to book your room early!